When most people think of a core workout, they usually think of crunches, sit ups or some variation of those two abs exercises. As part of my Bonus Fat Burning Workout Series, I decided to put together a more functional and sports adapted core workout. This workout will be extreme for those that are only used to doing abs or core exercises while laying on the floor. Your core a.k.a lower back and abdominal muscles, are responsible for stabilizing your whole body, yet most people only work these muscles from a stabilized position. This extreme core workout forces your muscles to work in a more functional and realistic way, especially if you're involved in sports. Take a look at a lineman in football, or an MMA fighter for example, their core is always engaged, pushing, pulling and or rotating against resistance. If you want to work out your core optimally, force it to work while standing and while synchronizing with other major muscle groups in your body. Doing this will give you a great full body workout while improving your body's ability to perform better in sports specific movements. 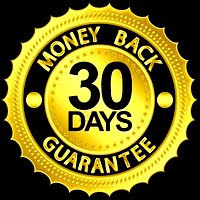 Check out the free Bonus Fat Burning Workout video. 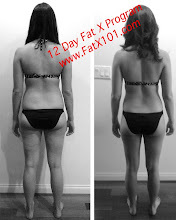 If you're new to Fat X 101, try the 12 day Fat X Program. It will give your fat burning goals a jump start while improving your fitness level. The workout videos are free. If you're in the Pasadena area, contact me to join my FX Boot Camp or for private training. Pretty good article. There are a lot of people in the gym who are focusing on crunches. Personally I prefer total body workout. Also at the end of my training I hit the punch bag. I used to practice boxing and karate, so hitting punch bag is a great cardio work out for me. I also walk about 8 miles every day.